As we neared the end of August and welcomed the warmer weather, the changes in the wildlife around Kingfisher Bay Resort and across the island became even more apparent. Perhaps the greatest changes were observed in the abundance and diversity of marine life spotted this month in the Great Sandy Strait. Whilst Flying-foxes weren’t as abundant as in previous months, we observed that numbers of Micro-bats were on the rise on Fraser Island. 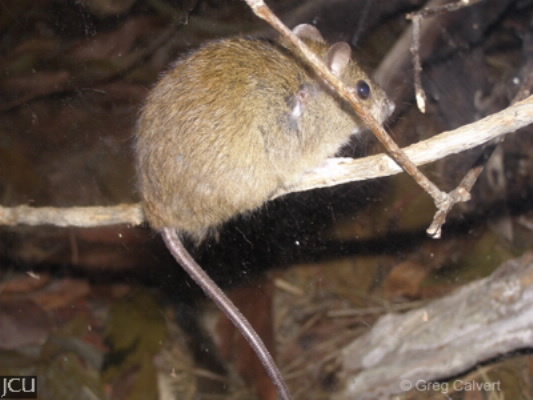 With the weather warming up we have seen an increase in insect numbers, which has in turn attracted a greater number of these small flying mammals, which prey on insects using their fascinating sonar adaptations. We have noticed a decline in the number of nocturnal mammals we’re seeing; however several Bandicoot sightings and the glimpse of a Grassland Melomys (pictured above - photo courtesy of James Cook University) -making a hasty retreat through the Eucalypt forest – certainly topped the nocturnal mammal sightings for August. These mammals were a big hit with the resort’s ranger team and resort guests alike. The oceans provided us with dozens of fish sightings with many small juvenile fish taking refuge in the safety of the shallows at high tide. A few larger predators were also spotted including two recorded sightings of both Barramundi and Flathead. In total we observed 15 different marine species including 11 fish species, two species of elasmobranch including a Brown Stringray – and two species of crustacean including a sizeable Mud Crab and the most notable of all sightings for August – a Moon Snail. Moon Snails are large snails that can attain a size of 5 inches and can extend a fleshy foot over 12 inches in diameter - low tides in the spring and summer are the best time to spot these critters as they come into shallow water to lay their eggs. All in all a great August, but we’re looking forward to seeing what this September spring brings on Fraser Island. Winter has drawn to close, but what a great month of birding we experienced here at Kingfisher Bay Resort and on Fraser Island’s western side over the past month. 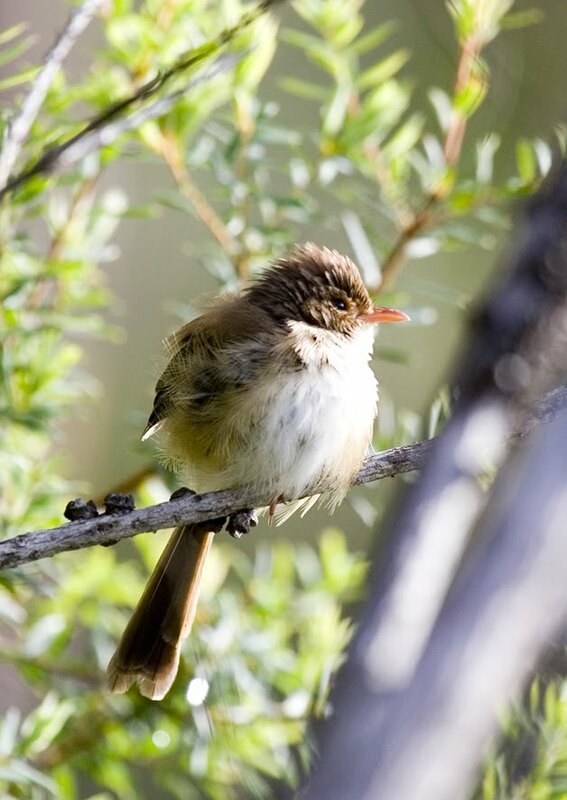 Around the resort’s Wallum Heath there has been an outburst of activity as the temperatures have warmed up and different bird species have flocked back to Fraser Island. With spring truly in the air, our feathered friends will also being gearing up for, what we hope is, a very productive breeding season. The first indication of this has been our gorgeous firebirds; the Red-backed Fairy-wrens (pictured) which have been courting in the Wallum, the fittest and brightest males dancing to attract their bevy of beautiful-but-dull (colour wise!) females. Other Wallum sightings have included the unassuming Australasian Figbirds which we’ve seen quite regularly, feeding on everything from Blueberry Ash to Prickly Broom Heath. Whilst these birds are so quiet in their movements, their bright red eye patch is a dead giveaway amongst the green foliage. Down by the beach, only one species made regular appearances this month. Our majestic Whistling Kites were spotted most days, either diving for a fishy meal, or casually gliding on a breeze. Sacred Kingfishers were occasionally spotted perched in the beach side Eucalypt surveying the sand for crustacean prey. However, the highlight of the month was encountered unexpectedly one beautiful sunny morning, as we stood on the beach looking back over the dunes… and admired the silhouettes of three Yellow-tailed Black Cockatoos as they glided quietly over the tree tops. Here’s looking forward to September.